There’s no denying that California is a pretty dope place. We have stellar beaches and hot people — but most importantly, we have some of the coolest foods in America. 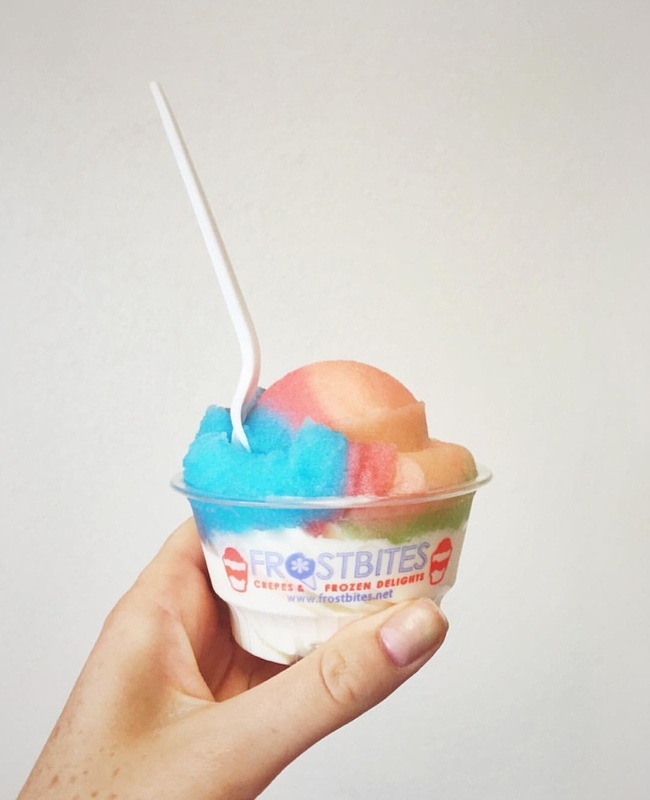 Considering our nice weather, it only makes sense that we have some of the tastiest and most photogenic frozen treats. Pics or it didn’t happen, am I right? 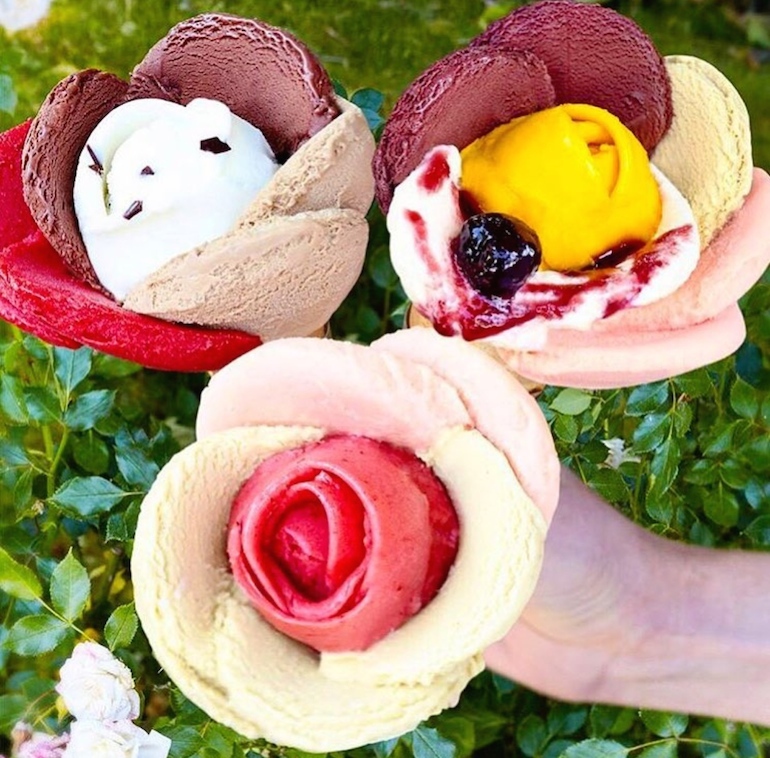 Most moms tell their kids not play with their food, but I guess the masterminds behind Eiswelt Gelato may not have gotten that memo when they started creating their works of art. 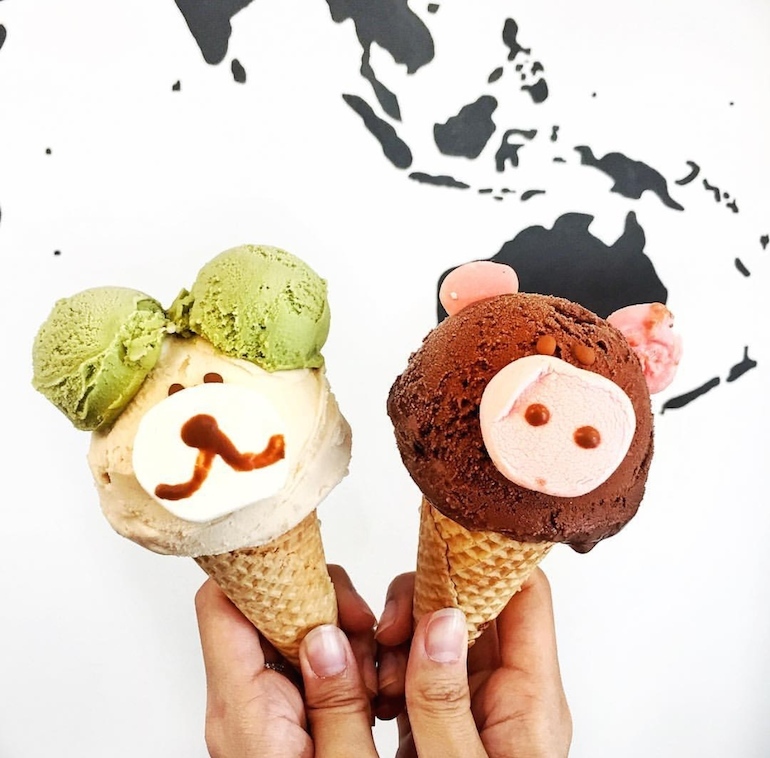 Regardless, these adorable, animal-shaped gelato cones are definitely mommy-friendly. TBH, I mainly came for the Hong Kong egg waffle, but the shining star here was definitely the ice cream — which is made fresh with each order. Sadly, this means no sampling, but you can’t go wrong with the rose or earl grey lavender flavors. If you ask nicely, the workers will even fashion your ice cream into a rose shape or separate your puffle and ice cream. I have been a macaron connoisseur since the beginnings of Gossip Girl, so trust me when I say that this is one of the finest macaron ice cream sandwiches you will ever find. The macarons maintain a great crisp and a nice chewiness — a tricky feat for their size — and the ice cream is just soft enough. I’m sure Blair Waldorf would approve. 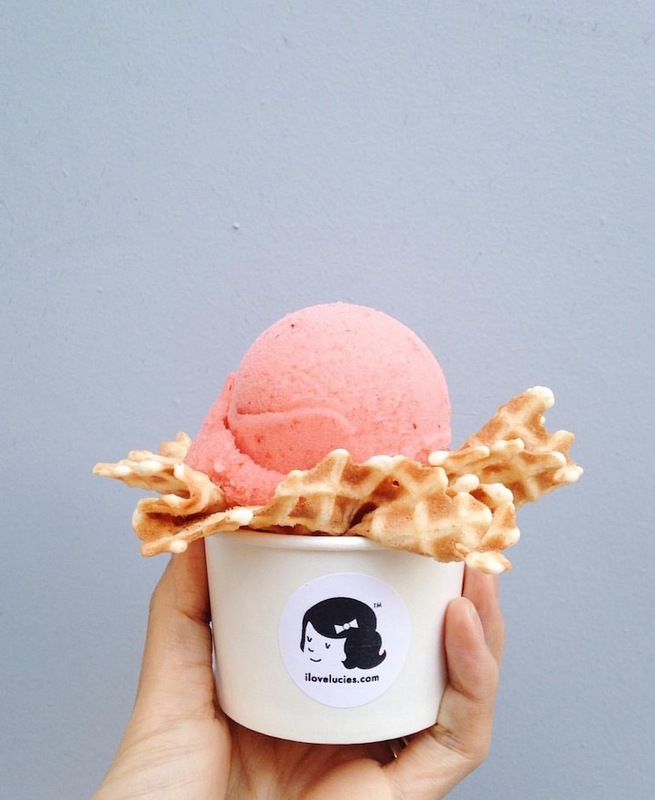 This LA ice creamery is serving up one of Thailand’s most popular street foods, rolled ice cream, in exotic flavors like dragon fruit and durian coconut (without making you endure any of that hot, humid Thai weather). The hype is real at Afters Ice Cream. Even at 10 pm on a Tuesday night, the line was still out the door. The best part of these milky buns stuffed with ice cream, though? It satisfies your sweet tooth and makes your dentist cringe without being overly decadent. 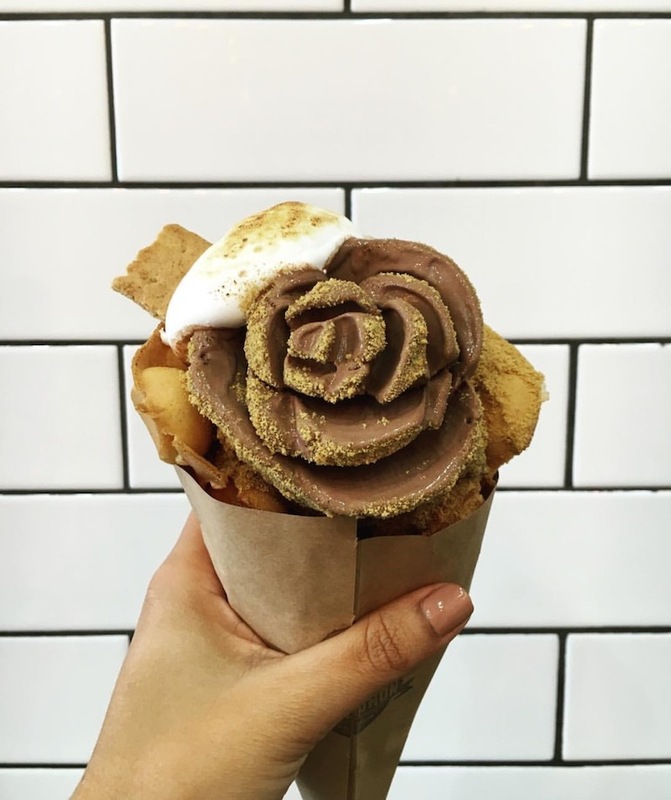 Why choose between chocolates or roses when you can have a rose made from chocolate gelato? Better yet, if you’re indecisive, you can choose as many flavors as you would like and watch your Amorino flower bloom. You definitely won’t find any of these artisanal popsicles tucked away in your neighborhood ice cream truck’s freezer. 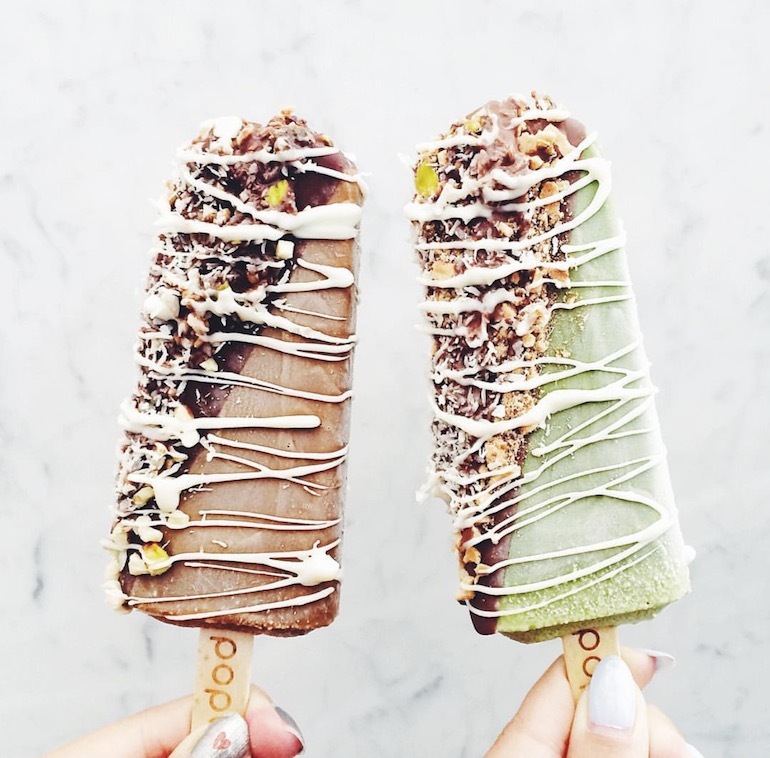 These popsicles start off naked until you take them for a dip and dress them up with toppings. 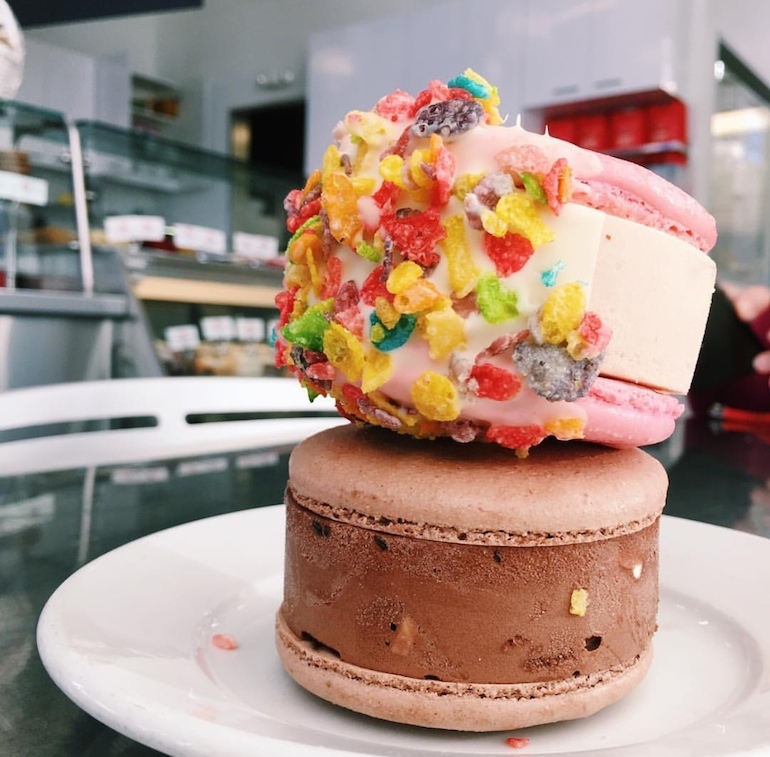 Not to be confused with The Milk Shop in Los Angeles or Milk Bar on the East Coast, Milk Bar Orange County is one of Southern California’s best kept secrets. 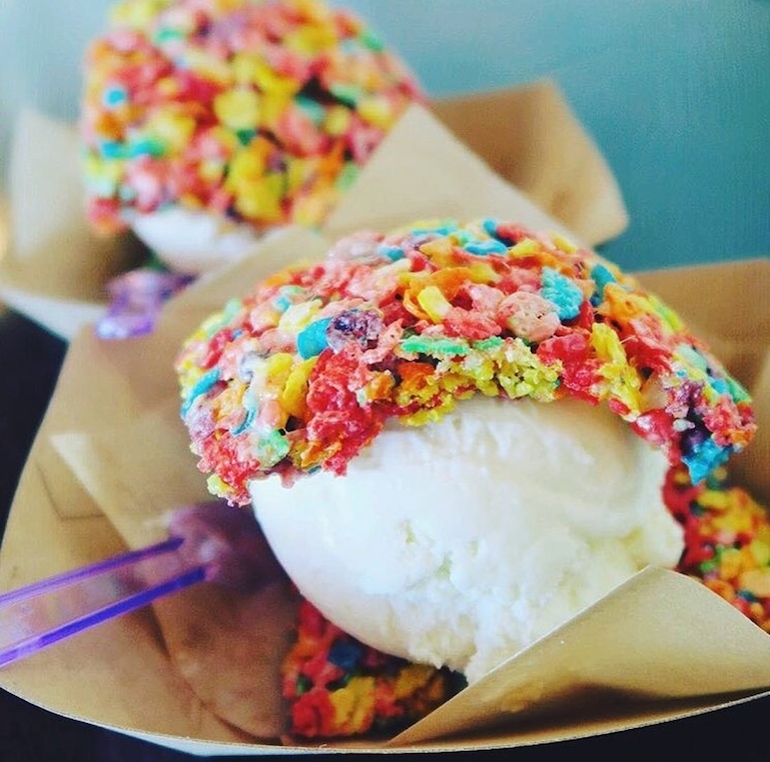 They serve up fun flavors like ube and blueberry crumble between your choice of Fruity Pebbles bars, Cocoa Krispies bars, or even Oreos. 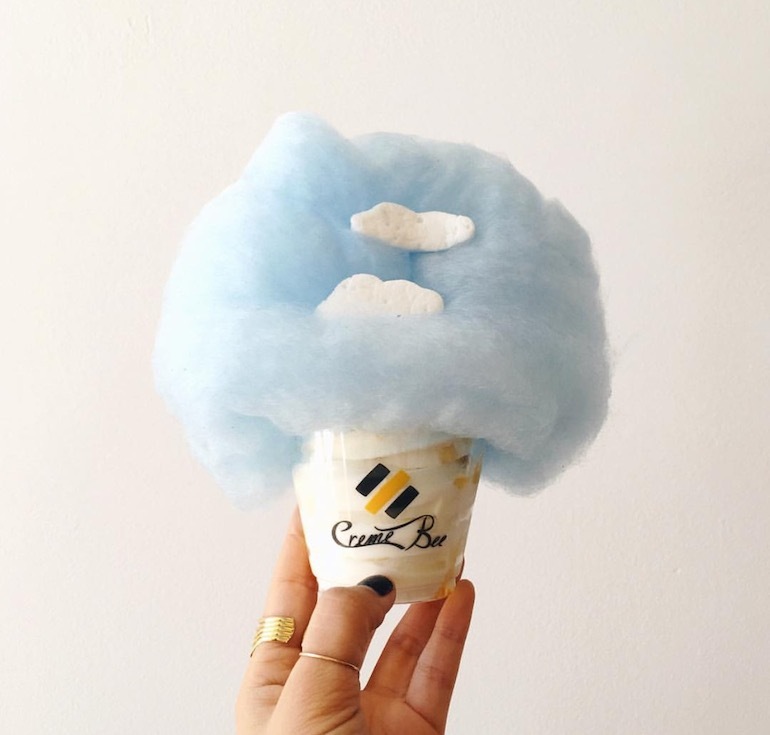 One of the hottest food trends I’ve been seeing a lot of lately is cotton candy. It’s pretty unassuming, but there’s a certain wow factor that goes along with this stuff. 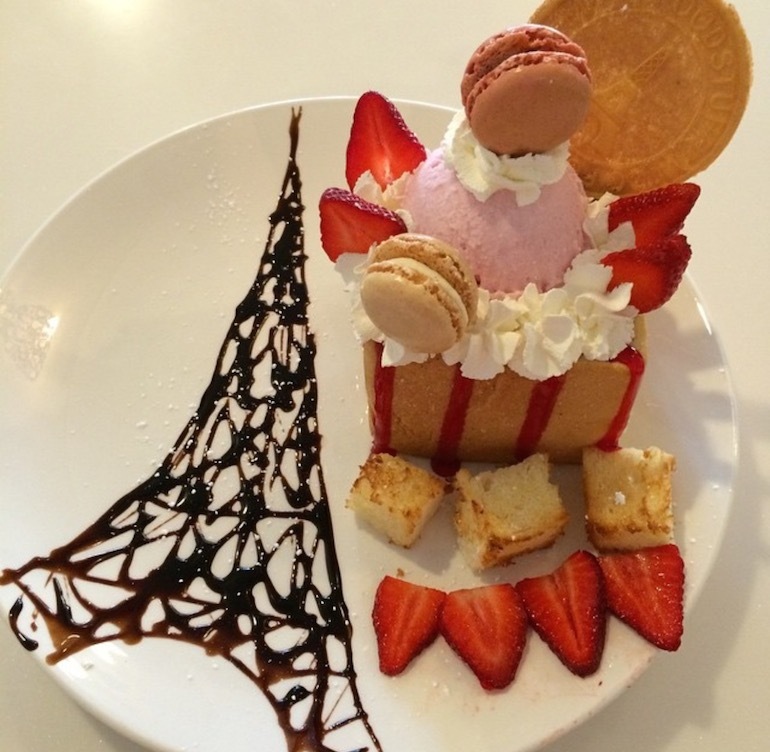 At CremeBee, they’re able to transform your average frozen yogurt into a whimsical treat. Don’t worry about having to make another decision in your busy day. 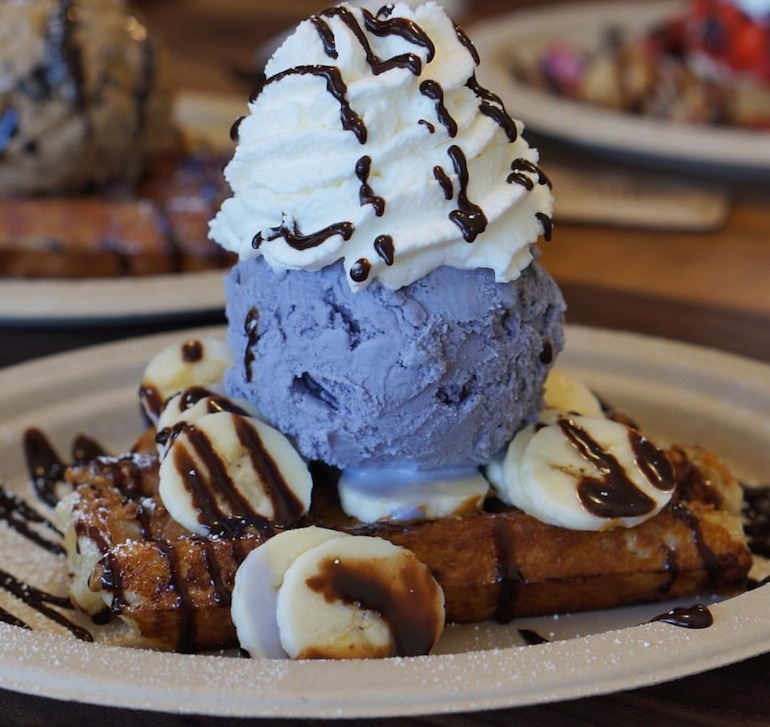 The sorbet cream at Frostbites Crepes & Frozen Delights gives you the best of both worlds by combining Italian ice with frozen custard. 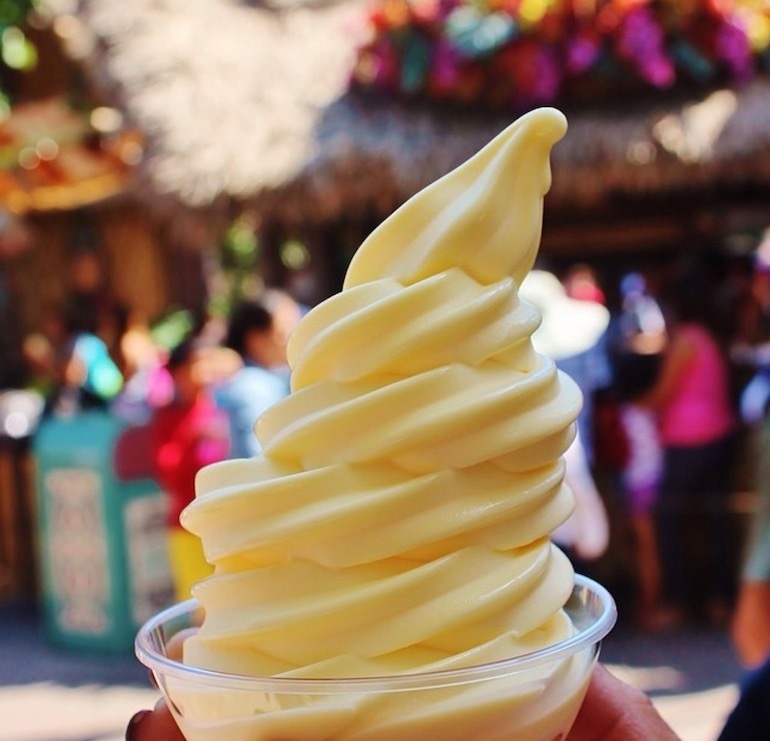 Time to whip out the Minnie Mouse ears and fanny packs, because these Dole whips are exclusive to Disneyland attendees. On the bright side, at least you don’t have to sit on a six hour flight to Hawaii. 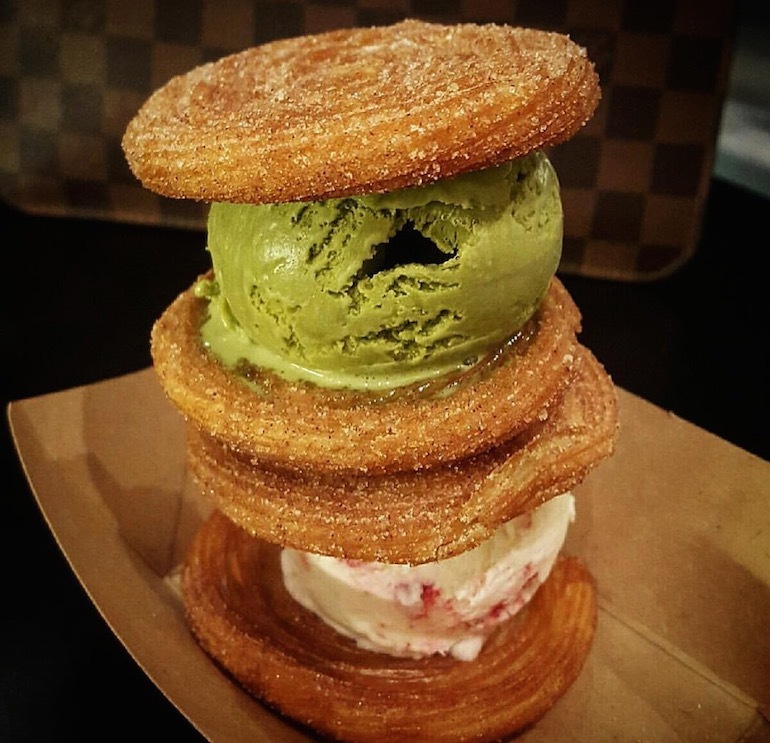 Sugar, spice, and everything nice pretty much sums up the experience you’ll find at Churro Borough. 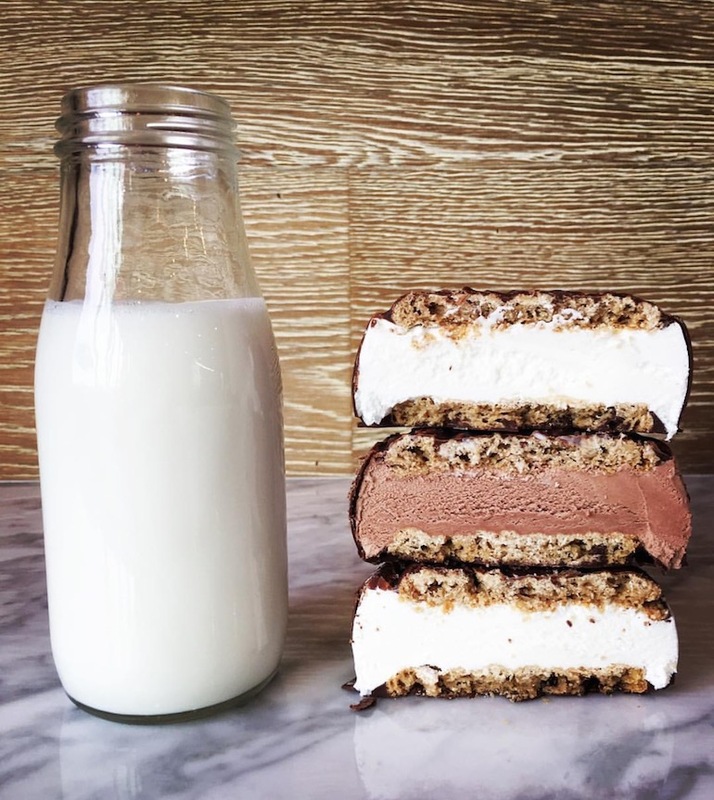 Be sure to try the horchata ice cream sandwich. 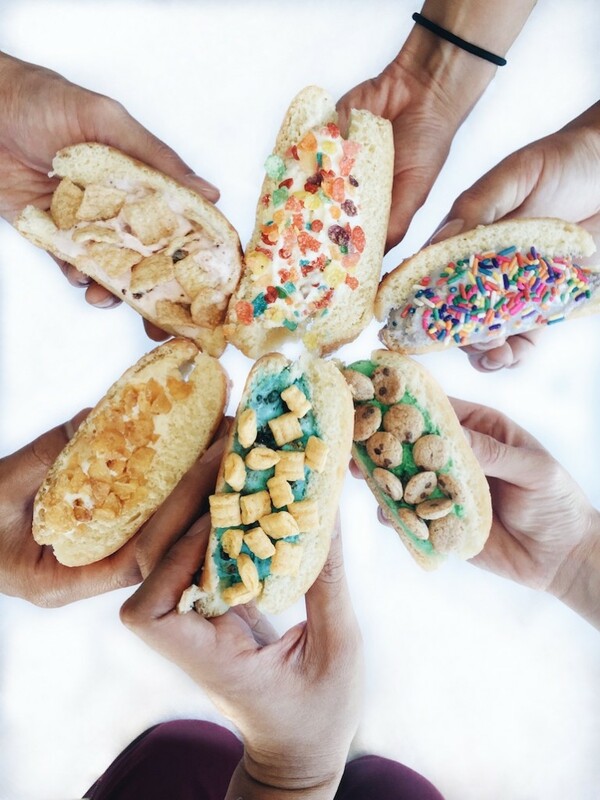 Searching for a classic ice cream sandwich? Well, CREAM is the answer to your prayers. 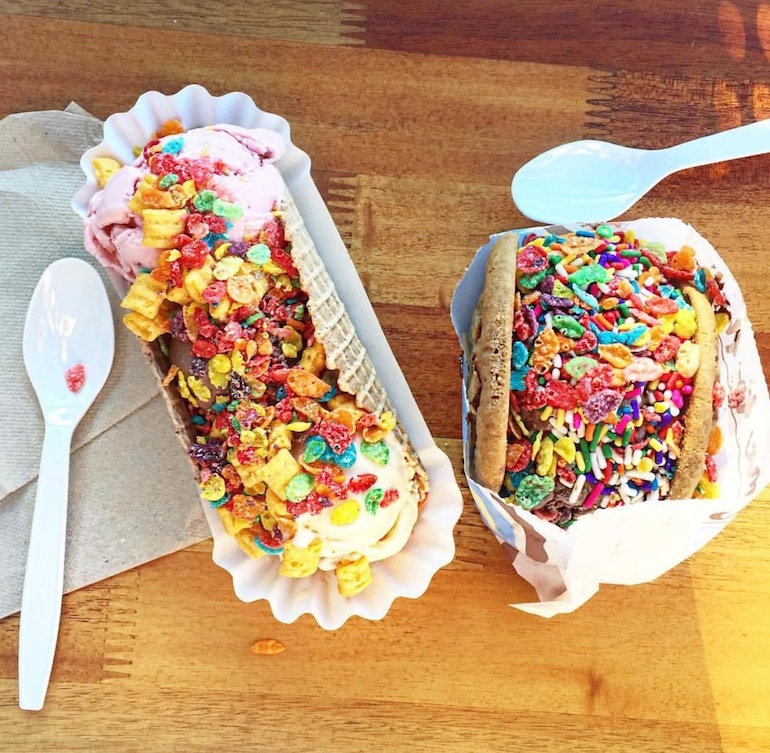 If you’re looking for some pizazz, they’re also serving up some bomb ice cream tacos. Cookies stuffed with ice cream and then dunked in dark chocolate? This San Francisco brand is making the ordinary extraordinary. 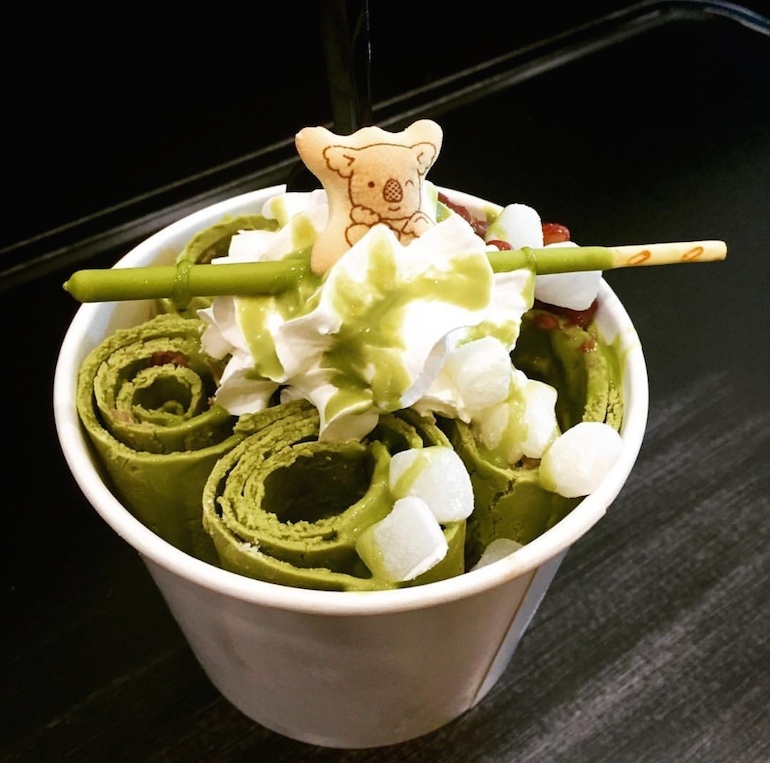 This mountain of shaved snow is the much-desired lovechild of shaved ice and ice cream. 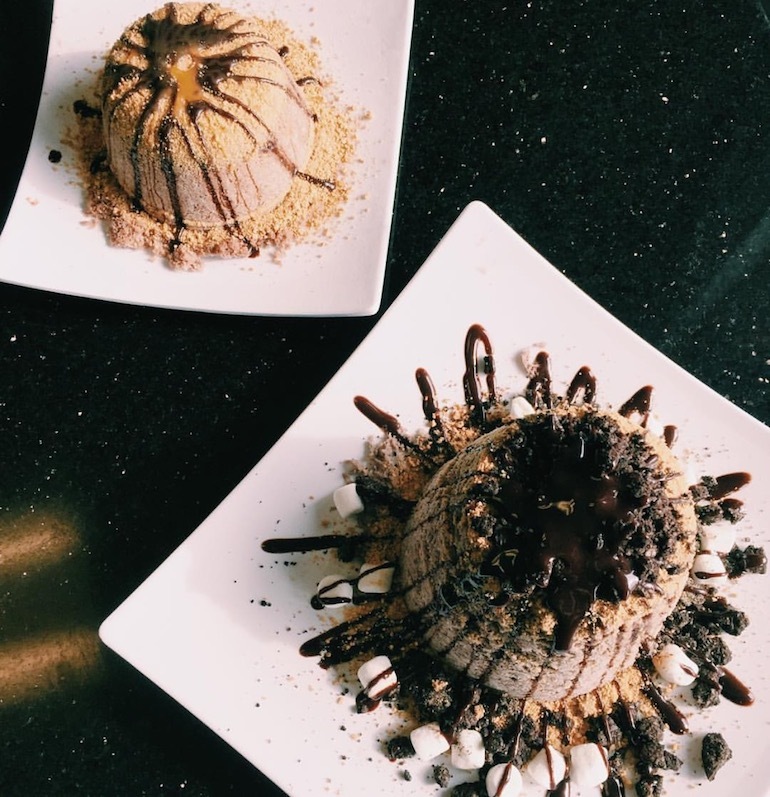 At Vampire Penguin, this Taiwanese dessert is mostly made from non-dairy products and will instantly melt in your mouth. It has all the right flavors without being too rich. If this isn’t on your San Francisco bucket list, then either you’re not a true foodie or you’ve been living in the back of a freezer. 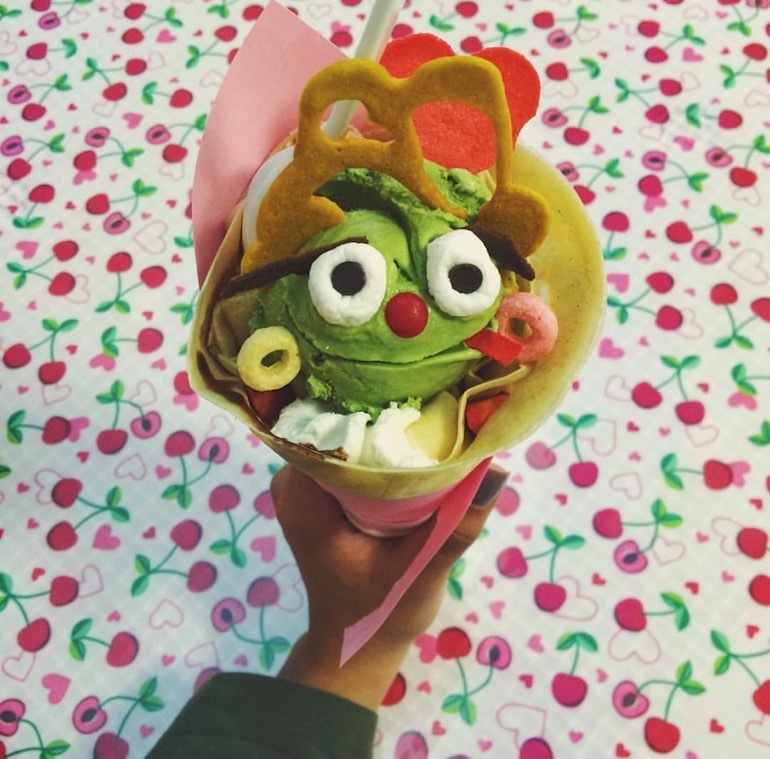 These ice cream crepes are the definition of kawaii. While T-POP Desserts & More offers a variety of desserts featuring ice cream, you have to try one of the Shibuya honey toast combinations. The buttery block of toast adds another dimension of flavor and texture that’s incomparable to a normal ice cream cone. There shouldn’t ever need to be a justification to eat ice cream, but if you really want one, Sweet Lucie’s ice cream is completely organic. They were the first manufacturer to have been certified organic in Southern California. 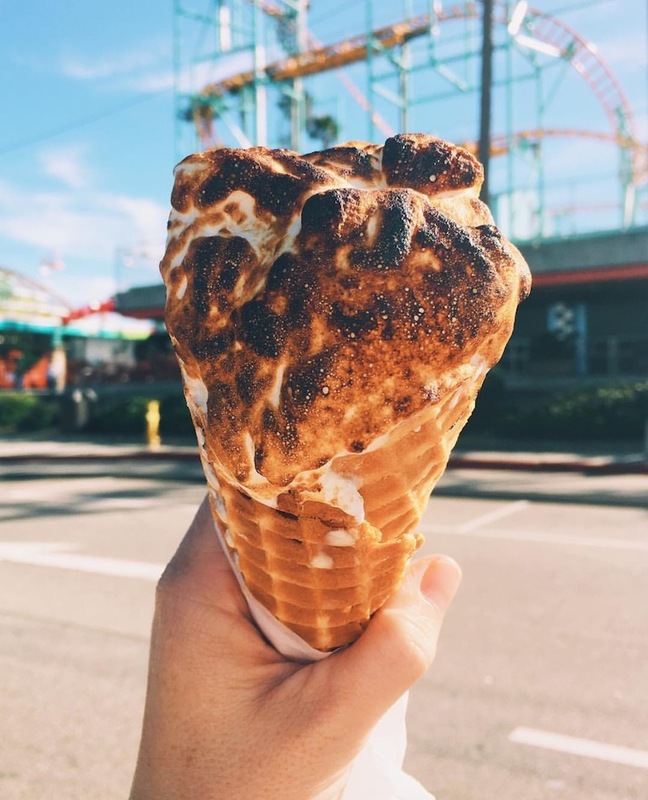 Don’t be fooled — your ice cream isn’t cozying up to a Belgian waffle, it’s actually a Liege waffle. Liege waffles are made with a special type of sugar that leaves the outside extra crispy while the inside is still soft.